Whatever paving you have, it s long term durability will be enhanced by our steam cleaning and sealing services. Unlike 95% of our competitors, we clean in relatively low pressure, high temperature steam. The advantages of this method is its much more gentle,less intrusive & damaging than conventional high pressure cold water washing. There is less waste & is much more enviro friendly as no chemicals are used. As all our customers have found, once you have your driveway or patio steam cleaned by us you will never go back to cold water pressure washing companies. And best of all we charge the same! To start with the entire block paved area will be cleaned using our steam flat head rotary cleaners. 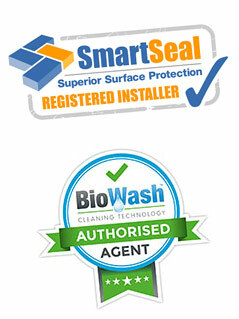 They will remove all dirt, algae and general soiling that has occurred since installation. The dirt & debris will be bagged up and taken away to be disposed of. The drive will be thoroughly inspected and then rinsed down along with the whole area and finally cleaning all windows, doors etc to leave area as we found it. Hard wearing: slows down surface degradation Moss & Algae Resistant: inhibits the return of moss and lichen Prevents Weed Growth: slows down the return of weeds Our service is available in Peterborough, Cambridge, Ely, St Neots, Stamford, Huntingdon and many other areas. Ask us today! Whatever paving you have, it s long term durability will be enhanced by our protective sealant,this comes in a high quality acrylic matt or silk finish and is applied in two coats which will protect against future weed growth, algae, staining, loss of colour and keep maintenance to a minimum for years to come. Once we are commissoned to seal a driveway, these are the stages that we go through. Stage one: The blocks are sprayed with with fungicidal wash or weed killer to kill any live fungal spores or algae that may be growing on the the surface of the blocks. Stage two: The monoblocks are then steamed cleaned with flat headed rotary pressure cleaner to get rid of any weeds, moss, dirt and grease that may have built up over time. Stage three: After cleaning has taken place and kiln dried sand is brushed into the joints between the block pavers to stabilise it and prevent any lateral movement. This is done on a different day to allow the blocks to dry. Stage four: A premium acrylic block sealent are then sprayed onto the surface of the entire paved area. 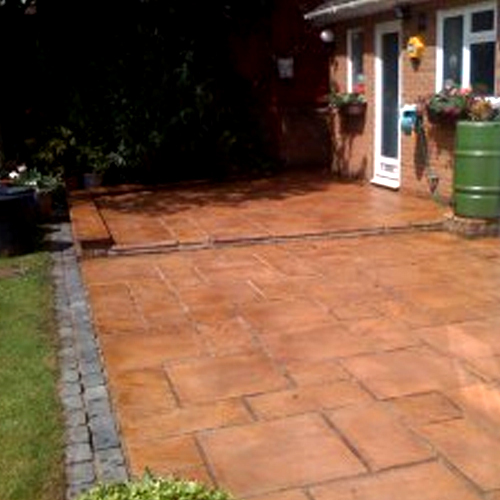 The sealer will enhance the look of the paving, bring out any natural colouring and give it much better protection. WBCS advise that to apply two coats to ensure each individual monoblock and jointing sand is saturated to ensure the best protection.